Alli graduated from Towson University in 2001 with a Bachelor’s Degree in Mass Communications. Alli began her career in Public Education and Management. She later went on to complete her Master’s Degree in Education from Wilmington University in 2009. As a client of Sonstein Financial Group, Alli appreciated the educational journey that she was being taken through and valued the importance of teaching families how they can create a balanced financial life and ultimately take advantage of more opportunities. 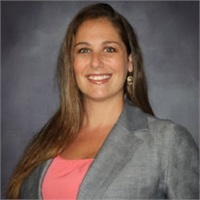 Therefore, Alli began sharing this process with her clients and officially joined Sonstein Financial Group in September of 2013 as a Financial Representative.